There are millions of homes all over United States who experience a series of issues with their crawl spaces. Surprisingly, your crawl space plays a very important role in the home. Many homeowners don’t know that a high percentage of the air that you currently breathe inside your home actually comes from your crawl spaces in the home. Over time, due to the humidity in the air in the crawl space area, mold can begin to grow in the wooden beams of your crawl spaces. When the mold begins to grow significantly, it can later develop mycotoxins that are dangerous to your health and it can end up being released in the air and into your home. Based on the Truth About Mold, reports show that there are about one third to about more than half of all homes and buildings that contain damp conditions that encourages mold and bacteria to grow. When heavy levels of mold and bacteria grow because of dampness, there are many different allergic reactions that can develop like asthma and many other infectious diseases. 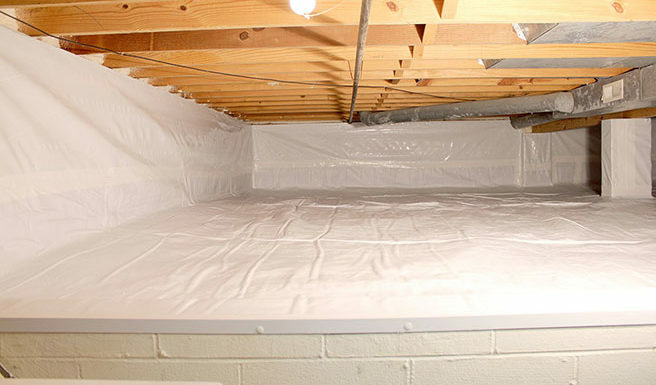 Encapsulating your crawl space is crucial to prevent excess mold and bacteria from growing in your air in your home. According to Mayo Clinic, mold can cause a variety of symptoms to arise when you are exposed to it such as: sneezing, runny nose, stuffy nose, cough, post nasal drip, itchy eyes, itchy nose and throat, watery eyes, dry or scaly skin, chest tightness, shortness of breath, wheezing and even respiratory illnesses. Mold has been the culprit for many illnesses that people experience in their homes and have no idea that that is a main cause for their symptoms. In fact, there are many individuals who go many years without understanding the severe consequences of having a mold infested crawl space. If you are currently experiencing a flurry of symptoms and are unsure of what could be suddenly causing it, you may want to conduct an inspection of your crawl space. Conducting an inspection could help you discover mold in areas you never knew about. It is critical to contact a professional to help you conduct your inspection. There are many companies that specialize in locating all the areas of your home that you have had no idea about. There are also many companies that specialize in discovering where the main source of the problem is and can help find a solution for you. If you suspect that you may be suffering from a home that continues to have a high humidity problem in the home, you may want to consider getting in contact with the professional today. You could be living over a cave of toxic mold that could be seriously affecting you and your family members. 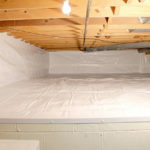 You can search for your nearest crawl space encapsulation issaquah wa professional. You never know what your home could be facing until you inspect it. You could be living over harmful mold that could be harming those you love. Encapsulating your crawl spaces is a great way to not just ride the mold from your home, but to also maintain your crawl spaces from getting mold in the future.